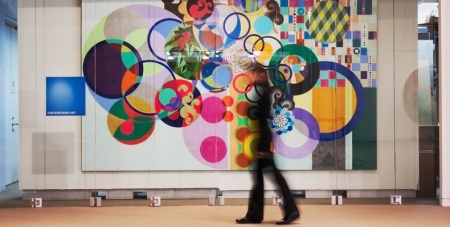 Collecting Corporate Art - What does your art say about your business? Collecting art for your corporate environment reflects an important statement of your corporate culture and brand identity. A corporate art collection has the ability to project your organisation as a leader in its field. One of the most enjoyable aspects of Ainslie Gatt Art Consultancy’s work is assisting clients with building and developing their art collections. For more than two decades, we have worked with many organisations to do just this. For new or expanding corporate art collections, it is important to ensure that a properly devised plan (collection policy) is adopted. * setting and adhering to budget guidelines. A properly constructed collection policy will give you peace of mind and confidence in your art collection development. Ensuring your investment in art is not only appealing but has been selectively purchased within your policy guidelines. These guidelines are to protect your particular art investment strategy. For individuals, tailored policies can be developed to suit your individual needs.